If you’re still reading, I’m asking you to hear me closely. I make light of Google hating your marketing but it’s probably true. If you want to get visible in Google this year, you’ll want to know why it’s that way, how it happened and what you can do about it, right? Google is on a mission. About 20 years ago they set out to “organize the world’s information”, and their search engine was born. As search became commercialized, Google discovered it could make a lot of money. They started creating ways of monetizing the search results pages, and haven’t ever stopped. Businesses, seeking to get customers from the Internet were all hungry to get to the top of search engine results and SEO or search engine optimization was born. As humans figured out how to “manipulate” Google’s search results, the company responded by making it harder and harder to get top results. Maybe, over the years, you’ve found that out for yourself. I cannot recall even one roofer becoming a client that hadn’t hired someone who promised them a solution before they found and hired me. Some contractors have a desire to learn how Google works, some don’t. That’s ok. Those who want everything done for them are certainly welcome. If you’re a business owner who wants to be a student and wants to learn and then implement on your own, that’s ok too. Just know that Google has also made lots of changes to the search results pages over the years and not everyone who calls themselves “expert” has kept up. One change, from 11 ads on the page to essentially only 4 brought with it new rules. Do you know what they are and how to manage them? The display area of the map was also reduced from seven listings to three. If you want that essential visibility, you have to know how the thing works or you’ll struggle. Every change was intended to increase revenues for Big G and make it harder, or at a minimum, more expensive for you to get customers from them. That Was Then – What About Now? In the fall of 2018, Google replaced their search engine with a completely new one. Gone from its index are all the sites that are not mobile ready. Was your site one of those that was removed? Let’s revisit their “mission”… As they’ve progressed from a 60% share in search to the low 90% range now, they’ve gotten rich. Google is one of the most valuable companies in the history of the world. Money from search powers their R & D and expansion all over the world. And they are fanatical about trying to give the people who search on Google the best answer, every time. Also in 2018, the search engine changed its systems to run on (AI) artificial intelligence. The immediate impact was that some businesses disappeared from search again. Many of them are firms that have been working on their SEO and in particular their backlinks. I’d say that more than 80% of roofing contractors who are trying to improve their positioning in Google have been told that backlinks are a major key to it. Where more and better links used to be the key to search engine results (as recently as last year), now it is your “Quality Score” that matters most. Your backlink profile appears to be just one piece of your overall score. In other cases, the AI has caused roofers ad costs to go up and the quality of their leads going down. And Google makes more money than ever the longer it goes on. In January, they told us that if you advertise with them and decide not to opt-out, AI will soon “take over” your ad account for you. Writing ads. Bidding. Setting budgets. Draining your bank account. But if you’re optimized correctly – getting qualified prospects at Google has never been better. Look, the bottom line is that if Google doesn’t have you ranked very well today, then you’ve most likely been “filtered” by their systems. You’ve been trapped by their Quality Score. Google believes that in most markets, there are way too many contractors. It appears they intend to squeeze those who want to market on Google until all that’s left are the best of the best. You’re going to need an excellent website, filled with detailed, helpful information for people who need help with their roof. You’ll want quality pictures and lots of reviews from other customers who love your work. Across the web, they’ll be looking to see that no incorrect info is out there to confuse people who search on Google. Fix the incorrect info now. And if you meet their grading system – if you have an excellent quality score, then you’ll be rewarded by them with lots and lots and lots of people who are searching for roofing related terms. By now, you may be thinking about what happens now. Many of those who started reading this page left already, and you’re still here… That might translate into a level of interest in what I’m saying. But being interested is very different than being totally committed – commit to your own goals and dreams. To climb the platform and claim the Gold Medal will require a real undertaking on your part. To make such a commitment requires more information and gathering info is what you should do next. There are two ways for you to get enough information to know if what we do at Top-Ranked Roofer is right for you. One is just to join our list and learn over time. I won’t waste your time with useless information or sales pitches for things that make me money but don’t help you much if at all. In fact, my free “Roofer’s Marketing Essentials Toolkit” will give you some critical data and somethings to consider. I also hold a weekly webinar, currently on Tuesday’s at 1 PM Eastern. It’s one hour long and filled with ideas and info for successful roofers. Register for our next webinar here. What Happens After All That? At this stage I wanted you to understand what’s going on and why it affects you. The only way to know if I’m someone you’d want to solve your Google visibility issues is to get to know each other. 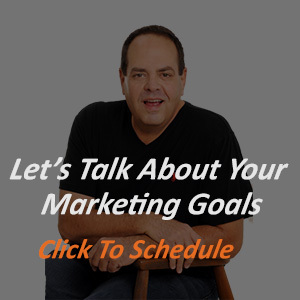 If you are hungry and committed to dominating your market and being the top-ranked roofer in your town, I am preparing to take a small group of roofing contractors through an 11-month “Google Marketing” learning program to accomplish exactly that. If you choose to pursue the implementation training program, you’ll learn every step that is needed to take your online presence (website, social profiles, Google My Business, etc) from where it is today to one that is ranked among the top sites in your market. I’m also going to personally work with a maximum of 10 roofing firms per year to build the entire process into their business for them. Not everyone will qualify to work with me on this. I can only provide this level of attention to so many people at one time. So take action. Either request your Roofer’s Marketing Essentials Toolkit or register for our next webinar today.